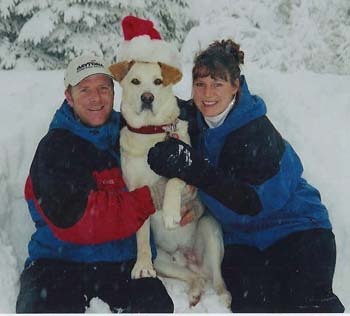 My husband and I just wanted to send along our family holiday picture with Randy (we adopted him in July from you). We had over 2 feet of snow here in Easton this past weekend and Randy loved it! We are so happy with him and can't imagine life without him as he is such a big part of our lives.